For the last seven years or so, I have used Sony VX2000 and PD170 miniDV cams. I now have a Sony HVR Z1 Hi Def cam and Gates housing with a Fathom Super Wide lens. Video lights are 23W HID Kowalski’s. For surface work I have a Sony high definition HVR-A1E. This is a great little camera but its low light performance is not so good, so it’s not suitable for filming deep dark wrecks. 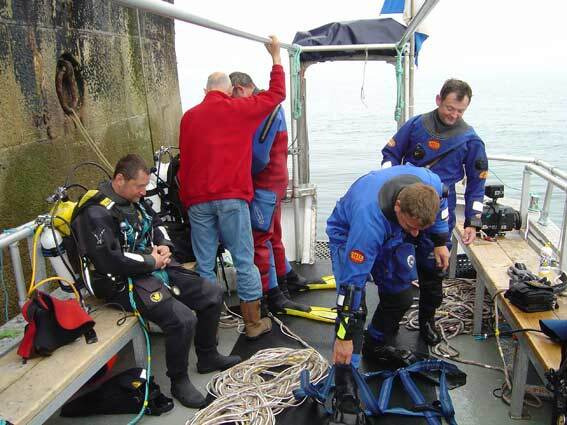 One of the most important items of dive equipment is the drysuit. 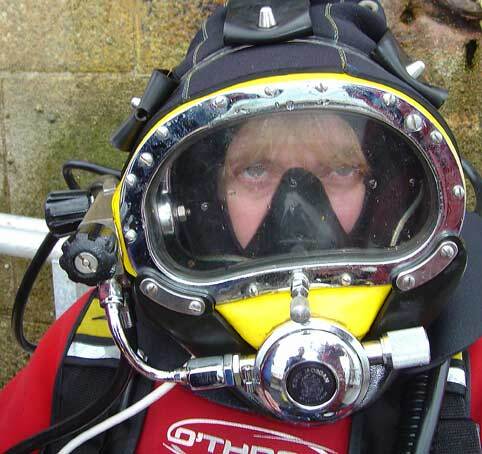 Most of my diving is between 70 - 120m and I spend up to 6 hours in the water. The qualities I look for are comfort, ruggedness, reliability and, of course, totally waterproof. My suit of choice is O'three. 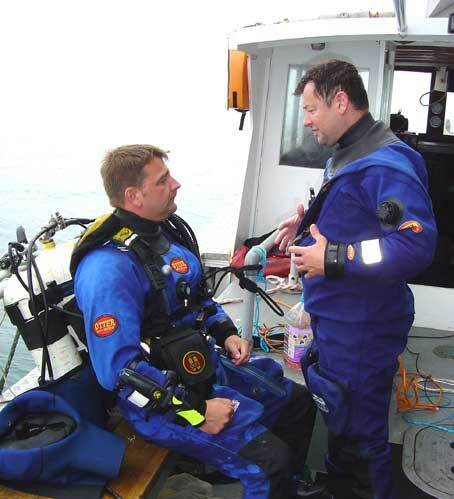 As an underwater cameraman, I prefer to see coloured drysuits, black is crap!!! O’three Point Below Base system keeps us warm and cozy. 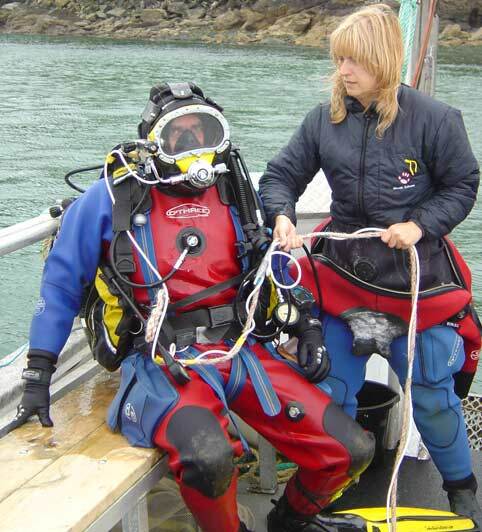 For the last 9 years Teresa and I have been using AP Inspiration rebreathers for life support. They have taken a lot of abuse but have proved to be totally reliable. On the rare occasions that I have needed after sales support, AP have responded in a quick and friendly manner. We have recently started using the new Vision electronics....fantastic!! Tersa and I have four VR3 computers between us and they have never let us down. 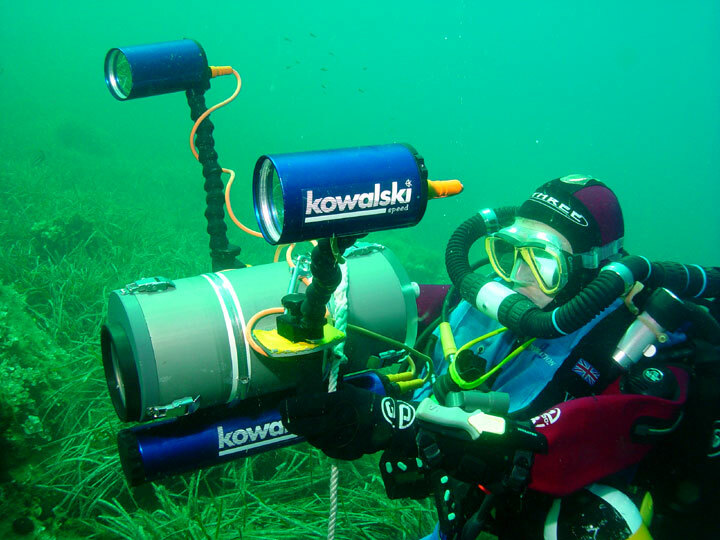 For many years we have used Custom Divers dive lights, reels and hardware. 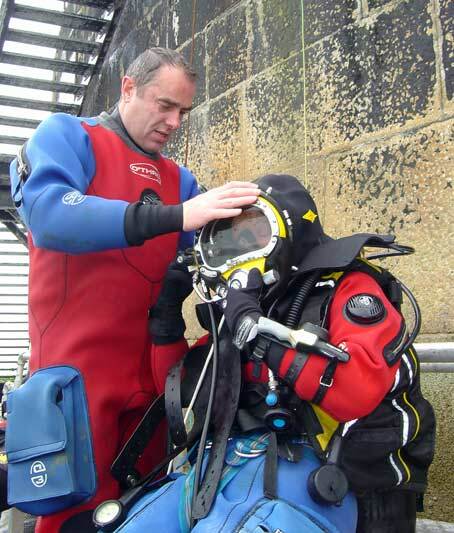 Rebreather Diver - Module 3 (Trimix) Inspiration. 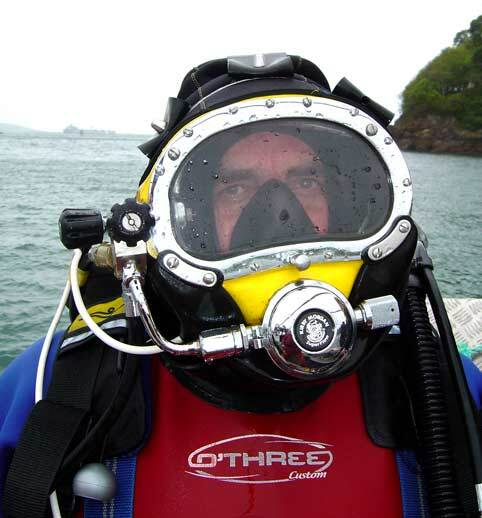 HSE SCUBA commercial diver thanks to Tony Hillgrove at TH Diving, Plymouth.